Double the usual number of meteors may streak from the skies this year during the annual Perseid meteor shower on Thursday night and Friday morning. Here's how to make the most of it. 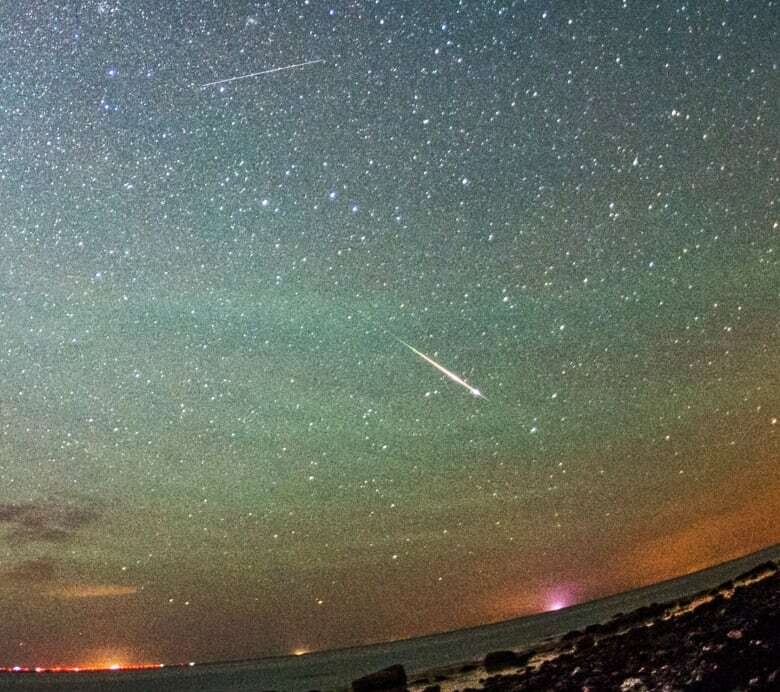 Twice as many meteors as usual are expected to streak from the skies during this year's Perseid meteor shower. 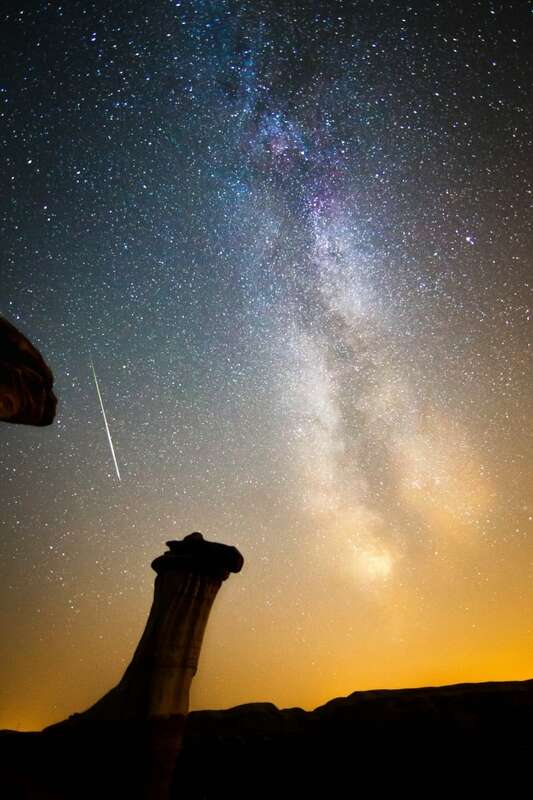 The Perseids, which peak tonight and Friday morning, are expected to be particularly remarkable. NASA says there could be up to 200 meteors per hour, double the usual 60 to 100. The meteor shower occurs when the Earth travels through the debris of the comet Swift-Tuttle. This year, Earth will be closer than usual with the comet trails, making for what scientists call an "outburst." "The bigger the rock that encounters the atmosphere, the brighter it's going to burn and the longer it's going to burn. 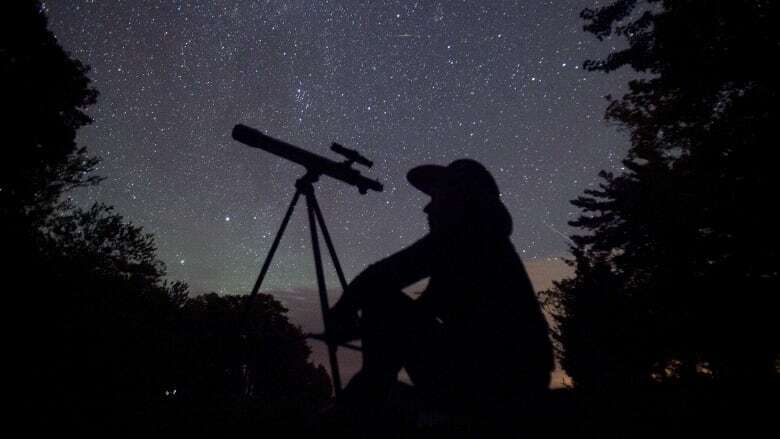 If you are at a location where it's dark and where you can see the stars with your eye, then you will likely see little streaks going across the sky," explained Phil Langill, director of the University of Calgary's Rothney Astrophysical Observatory. It's supposed to be a clear night in southern Alberta, so here's how to make the most of the meteors. Are you watching the meteor shower? Send your photos and videos to CBC Calgary via email, Facebook or Twitter. Get out of the city. Neel Roberts, the astronomy co-ordinator for Vulcan Tourism, suggests simply laying down with your eyes to the sky. If you're not keen on the idea of laying on your back in the middle of the country for eight hours, he said to grab a reclining chair and pointing it towards the north-north-west. Stay up late. 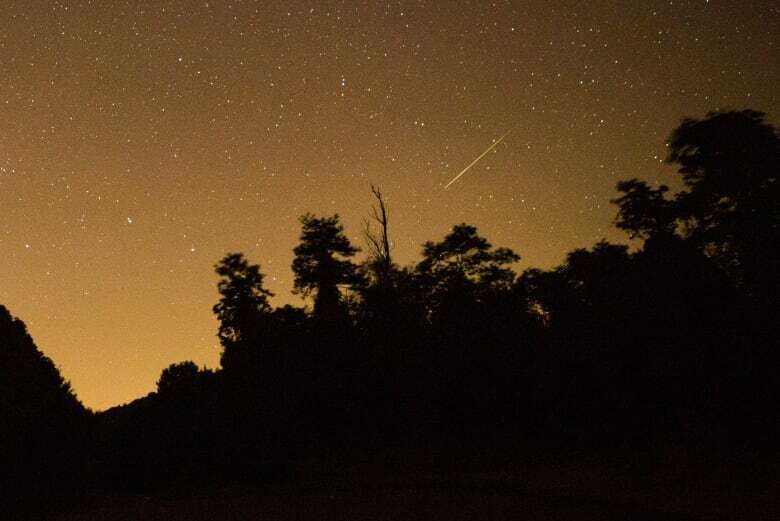 You might want to bring some coffee, as the meteor shower is often best in the hours between midnight and 4 a.m.
For those who aren't night owls, it's still possible to see some meteors as soon as the sun sets, Roberts added. Put the phone away. Staring at blue light makes it difficult for the eyes to readjust to the dark, said Langill. Checking a Facebook notification or spending a few minutes sending an email could prevent you from seeing a shooting star. Don't be disappointed if you don't see too much. 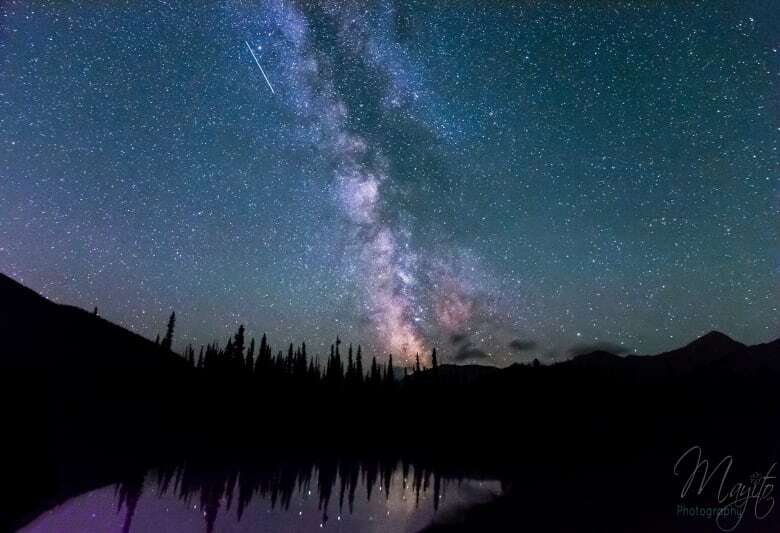 It's very possible that someone viewing the Perseids south of Calgary could see dozens of shooting stars, while someone watching near Canmore or Red Deer may see nothing, Langill said. "Your local sky is very small," he explained. "You could have a spectacular view because you just happen to be lucky enough to be on a spot on the earth where a particularly high density concentration of debris is falling, and you might get a great show, but the people in Canmore won't see a thing." Langill said that shouldn't discourage people from getting out to see the Perseids. "You probably will see something," he said. Anywhere with little to no light pollution and a good view of the sky will give you a good chance to see the Perseids. Head out onto the prairie or hit up a Rocky Mountain park like Banff or Yoho National Park. Big Hill Springs Provincial Park will also give you a nice, dark view. The Space Station in Vulcan: The Royal Astronomical Society of Canada will have telescopes and binoculars to get a closer view of the meteors. 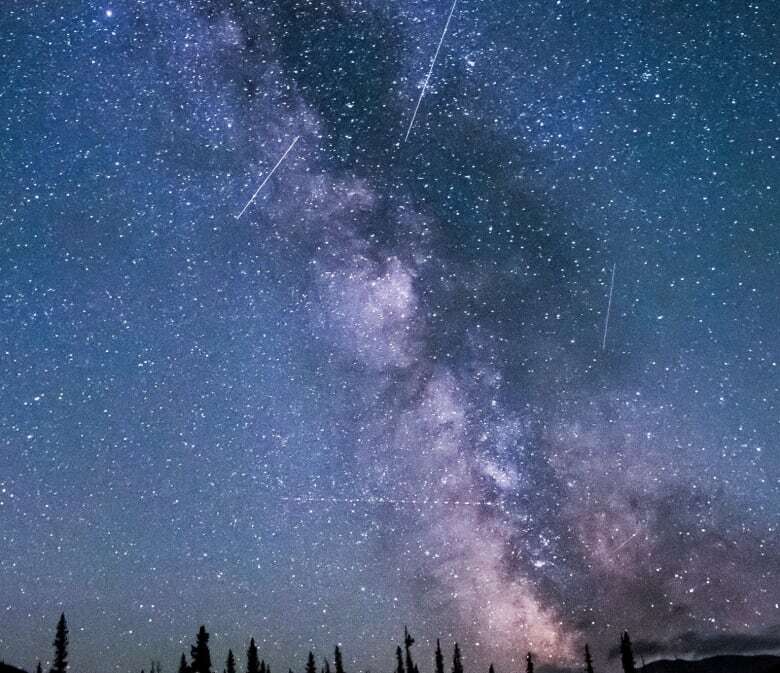 Cypress Hills Interprovincial Park Dark-Sky Preserve: With 39,600 hectares of designated dark-sky area with no artificial lighting, this park offers some of the best views of the night sky in Alberta. Here's what CBC photo editor Evan Mitsui has to say about capturing the constellations and shooting stars. Go dark: The darker the area you're in, the better. Be stable: Use a heavy tripod with a locking ball head to keep the camera as still as possible during the exposure. If you don't have a tripod, prop the camera up somewhere and use your camera's timer setting so the camera is still by the time the photo is captured. Use a long exposure: Many cameras allow for exposures up to 30 seconds, which should give you ample time to capture a shooting star or two in the frame. Read more of Mitsui's tips here. According to NASA, the Perseid meteors travel 59 km per second. A speck of dust travelling at that speed will make a "vivid streak of light" when it collides with Earth's atmosphere. They're hot, too: the temperature of the meteors can reach up to 5,500 C when they're travelling through the sky. The meteors pose no danger to Earth because they burn up about 80 km above the planet's surface.